Remember this past summer when we teased you with photos of the incredible real-life Mario Kart track coming to Niagara? Well, it’s just been confirmed that the Niagara Speedway will be opening spring 2018, so you’ll be able to race like Mario-Kart sooner than you think. 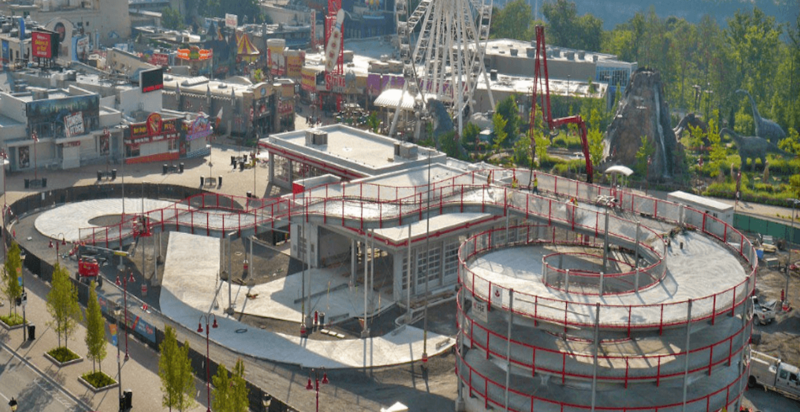 As seen in a new promo video from Clifton Hill Niagara Falls, the track features a 40-foot elevated spiral track that drops down an undulated ramp into a race course. “The Niagara Speedway is a marriage of traditional go-karts with the added fun and excitement of an elevated coaster styled track. Drivers get to test their driving skills along the straightaway, negotiate the hair-pin turns, and climb the elevated ramp as they head for the checkered flag,” wrote Clifton Hills in the video description. Niagara Speedway is not only the largest elevated go-cart track facility in North America but also the first of its kind in Canada, making this a must-try activity for all Torontonians. Stay tuned for an exact opening date, which will come closer to the opening.